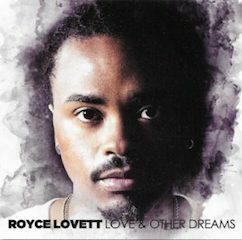 Royce Lovett is one of the most distinctive voices on the Motown Gospel roster. Not surprisingly, his new album, Love & Other Dreams, is as artistically unpredictable as its creator. Where can lung-expanding oxygen be found? Lovett answers on the album’s hypnotic current single, “Up for Love:” it’s in the clouds, where there are “no distractions” and a person can live at one with love. I do not believe he means Heaven but rather sees clouds as a metaphor of liberation. Towards that liberation Lovett wings his way; he is a weightless bird flying above the heaviness of life, where “it’s too crowded.” In fact, being “fly,” according to “Ballad,” is not the physical manifestation of wealth but the capacity to overcome the aftermath of failure. The six selections (a seventh is an acoustic version of “Up for Love”) are introspective and dramatic, often unsettling in their honesty. “A Hero Song” is the album’s most explicitly “gospel” selection. Here, Lovett cries out to God for help in melody and in a brief but impressive rap interlude. From what we’ve heard thus far on the album, his struggle is overwhelming. Like Lauryn Hill’s Man in the Fugees’ “Killing Me Softly,” “Mr. Radio” is an announcer who is oblivious at best, sadistic at worst. 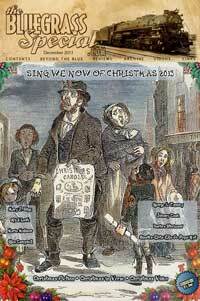 His same ol’ same ol’ playlist is a metaphor for the status quo and its endless stream of bad news. Changing the playlist by programming something “righteous,” as Lovett recommends, leads to love. And if there is one constant on the album, it’s that we need more love. Like Andrae Crouch’s perplexing “Lullaby of the Deceived,” Love & Other Dreams complicates the traditional notion of sacred music by inferring rather than proclaiming the mental and physical agony of personal spiritual battles and the weightlessness of freedom from sin and suffering. Sometimes new beginnings flower from the most terrible tragedies. That was the case for Natasha Owens. Seven years ago, her father was cleaning a gun when it misfired, killing him at age 58. 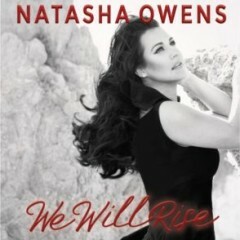 Owens’ latest full-length project, We Will Rise, is the result of her having more songs and ideas to share. The album sails along on radio-sized worship songs that outline the many ways Jesus has impacted the singer’s life and, by extension, the listener’s. Owens’ soprano runs from coquettish to bracing, but mostly bracing as she belts out earnest messages so even the back row of a megachurch can appreciate them. The album opens with songs that are reflections on Jesus’s faithfulness and constant care for his people. The current single, “I Am Loved,” also explains how words can be used to harm or heal. Clearly preferring healing words, Owens relates how something as simple as speaking “I am loved” can unleash one’s inner power. The tracks are melodically and musically consistent and easily digestible. Two, “Wings” and “Legacy,” stand out for their refreshing lyric motives. “Wings” is about finding the courage, through Jesus, to face life’s battles. The line, “the same wind that knocked me down gave me wings,” is the best lyric sentiment I’ve heard in a song all year—sacred or secular. “Legacy” encourages selfless giving, an important message in a time of selfies-gone-wild and hyperbolic narcissism. For a woman who could barely get out of bed after the death of her father to having a new career in Christian music, We Will Rise is an apt title, a captivating testimony, and an important call to action. Thursday, August 31, 2017 — Like all Americans, Christian singer-songwriter Natasha Owens has been heartbroken over the ongoing flooding in her home state of Texas following Hurricane Harvey. After much prayer and discussion with her team, she’s decided to donate all proceeds from the retail sales of her new album, We Will Rise, through the end of the year. “I’m proud to be a Texan, and even more proud of the way that people are coming together to help others in the wake of the devastation of Hurricane Harvey,” says Natasha, whose own church is on the ground in Houston offering assistance. “Psalm 46:1 says ‘God is our refuge and strength, a very present help in trouble.’ That’s the truth we hold to right now. Jesus is faithful to revive. We will rise! “Dear Me” is Nichole’s letter to her former self, to “the girl I used to be.” It’s sobering in its honesty and refreshing in its outlook. While the song shares some of the feel-no-fear philosophy of Lee Ann Womack’s 2000 country hit, “I Hope You Dance,” its optimistic message about living out Jesus’s unconditional love despite what we have been taught to believe is the most convincing call to action and statement about love you are likely to hear this year. But as powerful a statement as “Dear Me” offers, it is eclipsed by “Anywhere We Are.” Its contemplation about what matters in life is anchored by imagery of powerful storms that threaten to destroy everything we possess. Coming out prior to Hurricane Harvey and the devastation it has left in its wake, it is difficult to listen to this emotionally taut song without thinking of the people impacted by this tragedy. Like Richard Smallwood’s “Total Praise,” and Micah Stampley’s cover of “Come to Jesus,” “Anywhere We Are” is so moving it might be prudent to pull off to the side of the road if you are listening to it in the car. 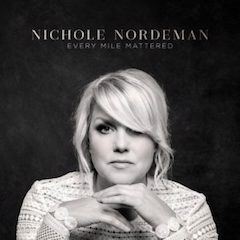 The melodies and arrangements are accessible, and Nordeman is at her most potent when simply accompanying herself on piano. Every thought matters on Every Mile Mattered. One of the best albums I’ve heard this year. Love songs have become quite popular in gospel music. Perchance inspired by Kim Burrell’s 2011 The Love Album, or Fred Hammond’s 2012 2-CD release, God, Love, and Romance, several artists have written and recorded songs about Bible-based love. Some even make for good wedding ceremony material. One of the most popular essays on the Journal of Gospel Music is a list of gospel songs fit for a marriage ceremony. 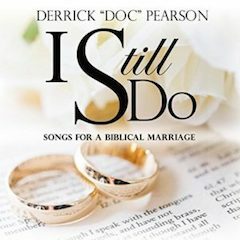 I Still Do, Derrick “Doc” Pearson’s new collection of songs about marriage, echoes Hammond’s album by using biblical reference points to examine the phenomenon of human love from euphoria to navigating personal differences to rekindling the spark. Depending on your point of reference, the album’s musical accompaniment is either Quiet Storm or Winans. I’m going with Quiet Storm because of bass player Pearson’s foundational work with soft soul groups such as the Whispers. As on his 2015 No Greater Love project, Pearson writes the songs and hands the mic to guest vocalists who interpret them as soloists or in duet. 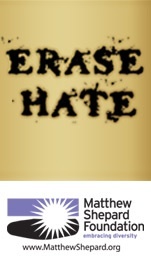 The title track is emblematic of the entire project. To a creamy smooth 1980s R&B ballad underlayment, the late Al Johnson (of the Unifics) and Kathy Horry croon the magic of a lasting marriage. “Bind Us Together,” also featuring Kathy Horry, is ready-made music for a wedding ceremony or celebration. But not all is bliss in Love Land, Pearson admits. He and wife LaMar offer a brief skit called “Adjustments (We Must Adjust),” which concludes that compromise starts when we first understand ourselves. Though too quickly dismissive of conventional marriage counseling, “In God’s Hand,” featuring Stephan Terry and Amy Tucker, suggests that God is the ultimate marriage counselor. The album’s most up-tempo selection, “Forgive Forget,” finds E.J. Thomas and Cherlita Claiborne chanting forgive, forget, and move on. Though one might not expect a holiday selection to appear on the collection, Stephan Terry’s “Quiet Christmas Night” is a satisfied parent enjoying a Norman Rockwell-esque Christmas with the family. 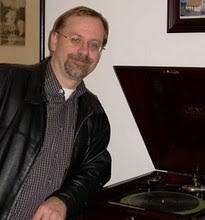 Terry is featured frequently on the collection. Pearson peppers his album of serious messages with tongue-in-cheek humor, such as on “Adjustments.” On another interstitial skit, “The Encounter 3,” Pearson suggests pre-marital counseling to a fan, with disastrous results. The backside of the CD includes a warning that “this CD is for married couples ONLY! Experiencing music from this CD while unmarried may cause unwanted side effects.” So confirmed bachelors and bachelorettes beware! But not really—this is Pearson’s fun side coming out again—because despite the album’s exposition of the good and the bad of marriage, I Still Do comes down solidly on the side of good. 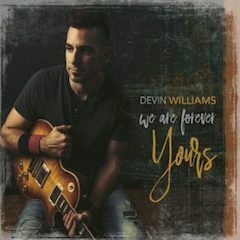 The power of love, both given and received, is at the center of We Are Forever Yours, the latest release by worship leader and six-time Billboard Top 30-charting Christian artist Devin Williams. Nowhere is this negotiation more explicit than on the current single, “Hear Our Hearts Sing.” Interceding on behalf of an inferred congregation on this vibrant song of corporate worship, Williams offers God the congregation’s (and his) collective hearts. But this is not a one-way proposition; in return, God will bestow peace, joy and love. God’s covering love, Williams sings on “I Will Not Fear” and “Because of You,” protects him from harm. On “You Give Me Strength,” he adds that the love of God keeps him strong when he wants to give up. When it comes to expressing gratitude for direct intervention from God, Williams makes his case most plain on these three songs. “I Worship You Now,” on the other hand, expresses God’s love for his people through Jesus’s death on the cross. The songs are buoyed by bright, welcoming melodies flavored by energetic country-rock-meets-Coldplay arrangements and instrumentation. Williams’s voice is part worship leader, part country-rocker, meaning eager, honest and genuine. There’s nothing not to like about this pleasant presentation of worship songs from a Nashville guy who credits the late Chris Cornell of Soundgarden as one of his influences. The most resplendent moment on If You Are Weary is “Jesus (What Grace Have I Found in Thee).” Set in the rocking chair rhythm characteristic of traditional black gospel, the song builds in intensity as blue notes and organ speckle its countrified foundation. The uptempo “There is Power” has a camp meeting singalong feel, and “He is Risen (Undertaker Blues)” tells the tale of the Passion in a bluesy way but all the while cheering Jesus for not letting any grave hold his body down. Infused by lovely harmonies from the background vocalists, “Thank You Lord” is a paean of gratitude for favor in a time of trouble that seems never-ending. Throughout, Everett’s cadre of musicians demonstrate jam session cool. The familiar songs on the album are the Gaithers’ “Because He Lives” and the 1907 hymn made popular by the Carter Family, “Will the Circle Be Unbroken.” Everett’s take on each, however, is quite different from the original. In his hands, they become even more deeply personal and introspective. 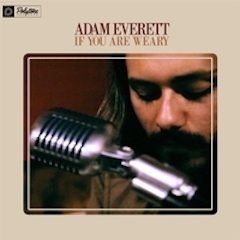 If You Are Weary is a fine debut for Adam Everett and, true to its title, aims to cure what ails you. Gospel music has a higher purpose, and in the case of Maker of the Heavens, the purpose is more than spiritual. It’s about the very sustenance of life itself: water. World Church Unites, the Lincolnton, North Carolina-based music ministry team for Third World Vision, released a CD of original music as a fundraiser to provide clean water technologies to parts of the world that suffer from a lack of clean water. 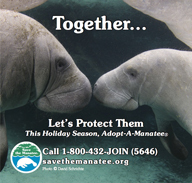 Anyone who donates to the cause gets a copy of the CD in gratitude (while supplies last). The seven original songs, all cut much from the same cloth, are earnest, melodic, megachurch-sized performances that focus for the most part on the importance of salvation. The opener, “It is Finished,” riffs on a dual interpretation of the title to depict how Jesus’s final words on the cross were not just about the completion of his earthly life, but the successful completion of his goal to save mankind. “To Be Saved” is another selection centered on Jesus’s dying so we may live. This focus on spiritual salvation parallels the project’s explicit intent to provide physical salvation to the poorest countries through supporting the World Church Unites Clean Water Mission. The album’s loveliest cut is “Spirit Breathe,” a liquid ballad about spiritual renewal that features a warm, throaty lead by Amber-Lee Garcia. Garcia sings background harmonies on many of the CD’s other tracks, but she deserves to be heard more often as a lead singer. 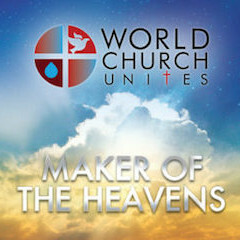 The World Church Unites band features thumping rock drums, electric guitar, and Parker Sipes’ rock stadium vocals. The group uses the contemporary pop music technique of pinning chiming musical motifs to song melodies to give track their instrumental hook. Although not listed as a formal member of World Church Unites, Mike Faircloth’s deft piano and synth work is featured prominently through the project. Maker of the Heavens will appeal to CCM and Christian rock enthusiasts especially, but anyone who believes in clean water for everyone will discover that receiving the CD as a way of saying thank you makes it just as nice to receive as to give. To participate, visit http://worldchurchunites.org.